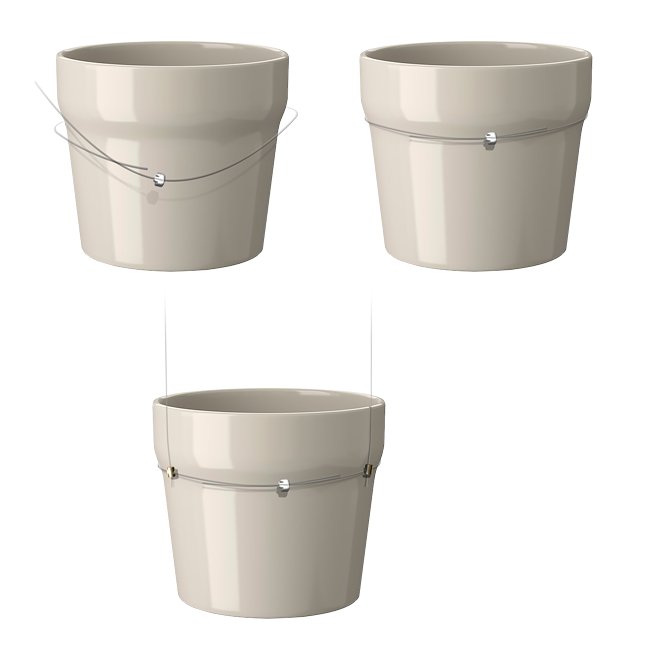 The 'Wall Plant Hanger' will hang your plant pot from a metal wall mount. The wall mount protrudes 1 ft from the wall. Uses 3 transparent perlon cords, giving a combined weight capacity of 20kg.